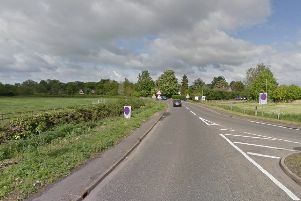 A man who died following a collision on the A1 at Water Newton on Thursday (June 9) has been named. Jabed Hussain, 46, of Abbey Drive, Luton was driving a blue Toyota Corolla when it left the northbound carriageway and collided with a tree at about 9pm. Officers would like to speak to anyone who may have seen the vehicle travelling along the A1 in the run up to the collision. Anyone with any information is asked to call PC Matthew Bill at the Roads Policing Unit on 101.